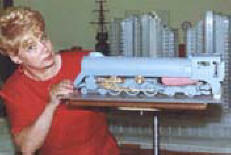 Most model trains are built as working models. In order to have a model work you must also expect to sacrifice some of the realism. 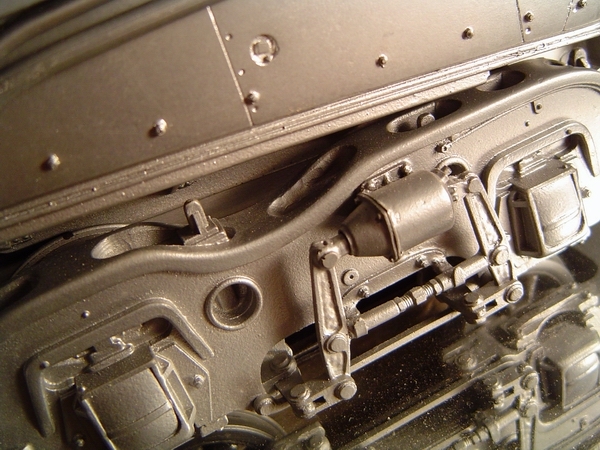 The aim of most manufacturers is to give trouble free running and retain as much detail as possible within the bounds of production capability. Most commercial builders of railway models today are doing a superb job of achieving these goals, but unfortunately some details are still lost. 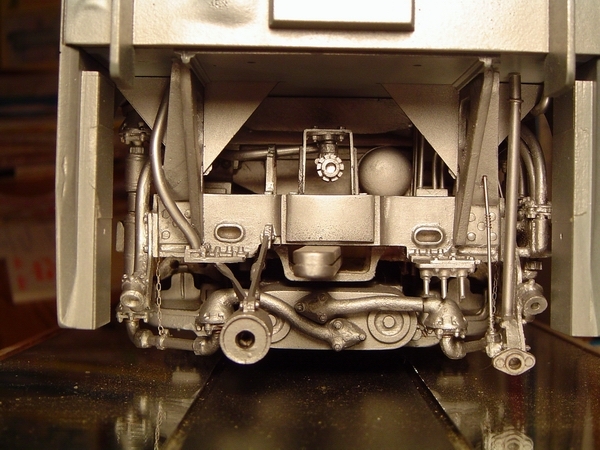 Incorrect couplings, deep wheel flanges, course scale valve gear, no footplate steps because of truck swing, and cab to tender distance too wide, to say nothing of drive motors often visible in the cab. 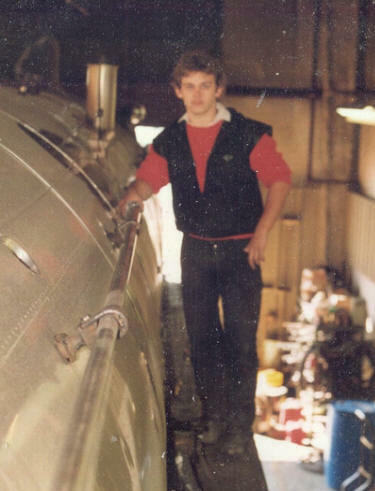 Even the live steam models which are incredibly accurate with regard to detail, usually, out of pure necessity, have some oversize pressure gauge or control lever out of the top of the cab roof. 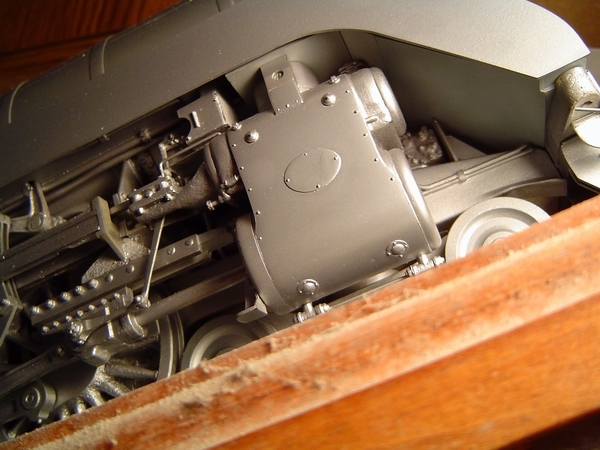 In my opinion, although magnificent pieces of model engineering, when viewed as static reproductions of that particular type of locomotive, there is usually plenty of evidence of necessary compromise. 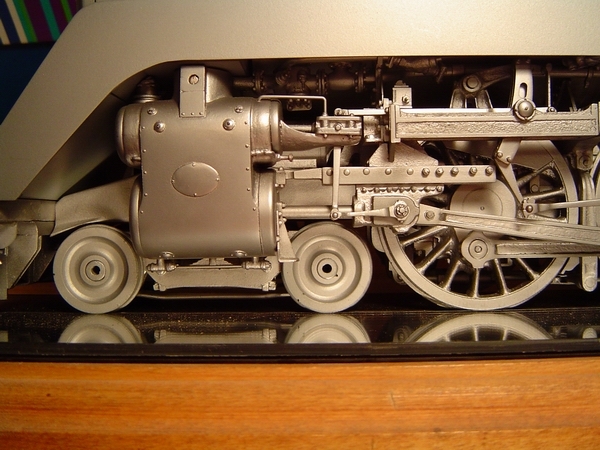 I have a love for finely detailed static models. 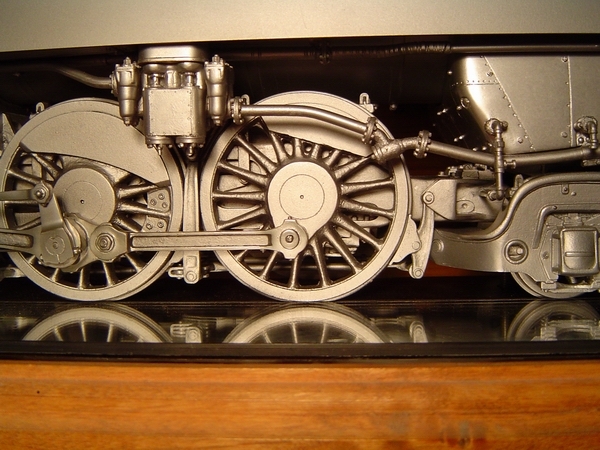 This model was originally started quite a few years ago, with a view to producing models in 10 mm = 1 foot scale, in very Limited Edition quantities, for sale to the serious collector. 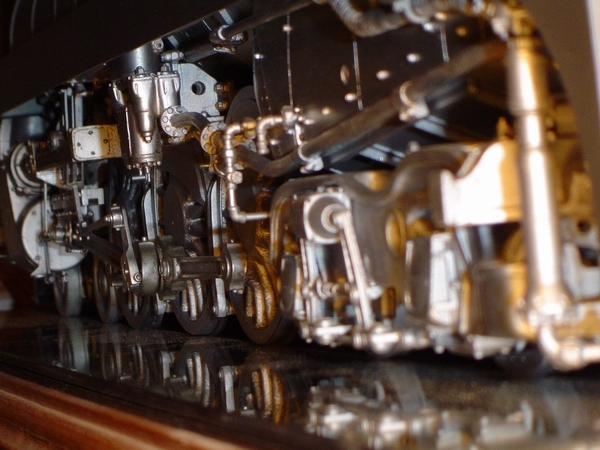 The Canadian Pacific 4-6-4 Royal Hudson featured here happened to be right here in Western Canada, which gave me the opportunity to get all the details I needed to build a highly detailed model. Over 400 photographs were taken by my Sons and I to date, of the B.C. 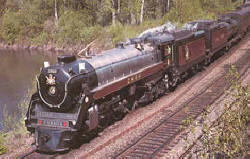 Rail locomotive 2860, here in North Vancouver B.C. 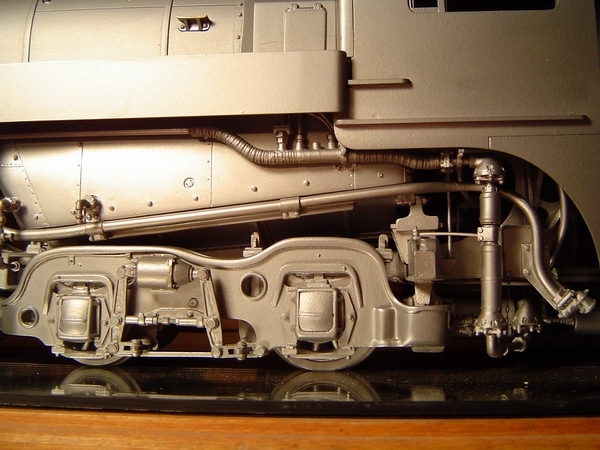 As we did not have to be concerned about radius of track curves, and the many other considerations connected with the mechanical aspect, full attention has been paid to detail and accuracy of scale. 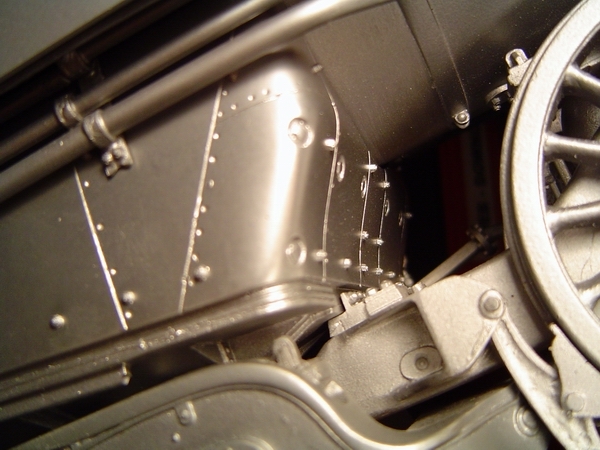 The model has authentic bolt and rivet detail, and cab interior will show all gauges and controls. The scale is large enough to show detail clearly, but not too big, as to make it overpowering when displayed in the home or office. 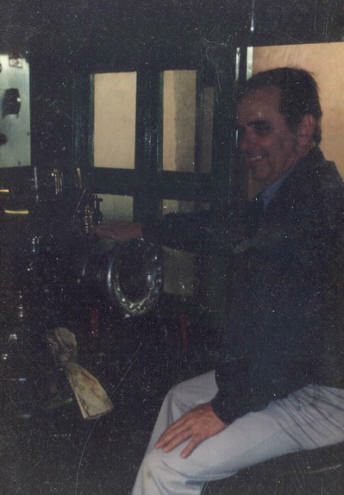 The pictures shown here are of the prototype at various stages of construction. 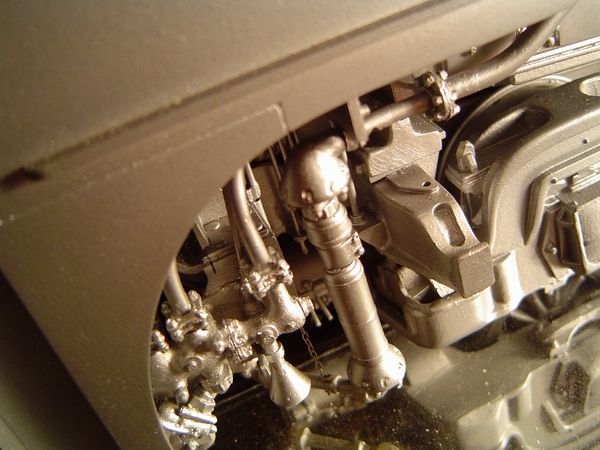 They are meant to illustrate what the level of detail will be on the finished model. 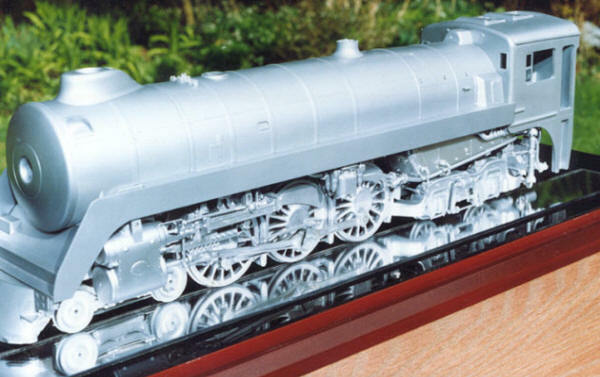 The metallic finish is to show detail on the photographs more clearly, but the models will be painted in the correct livery when completed. Hundreds of hours have already been spent on research photography, scale drawings, component part development, silicone rubber mold making, and epoxy resin casting, but the 2860 still has a long way to go. Production of this project was put on hold for many years, as our efforts were diverted into the world of motor racing presentation models. 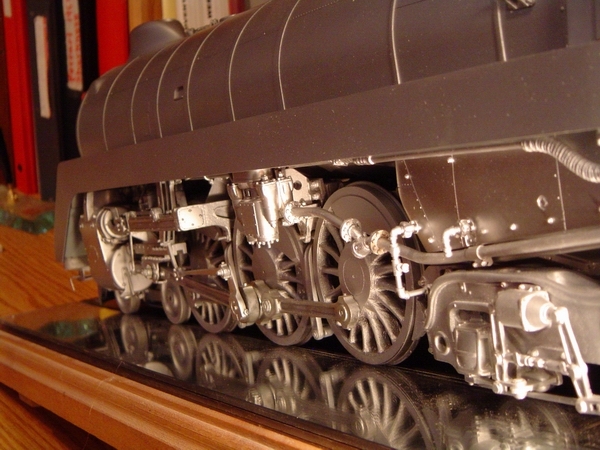 Model steam trains are a life long passion with me, personally, and as I am now, semi-retired, I am looking to continue where we left off, with the Royal Hudson project. The picture above illustrates the progress right now, of the Royal Hudson. 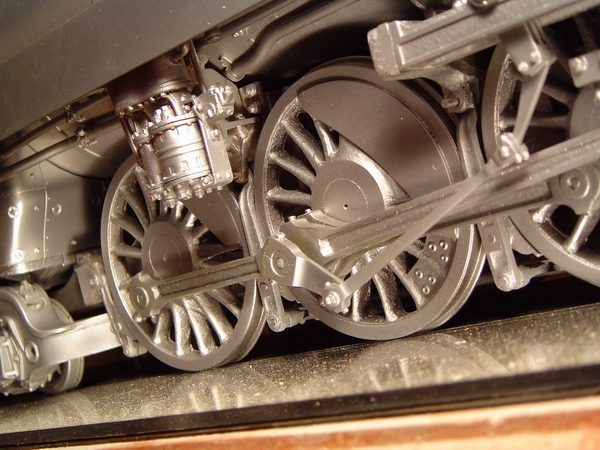 Everything you see below the footplate has been molded and cast. 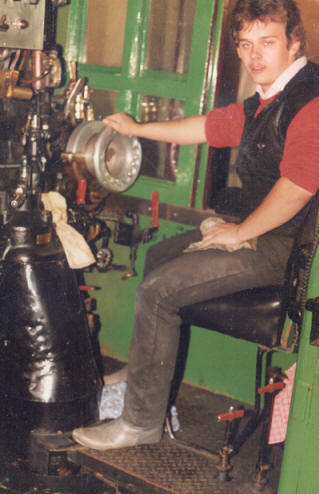 What you see above the footplate are the originals patterns, and molds still have to be made for all the boiler and cab. 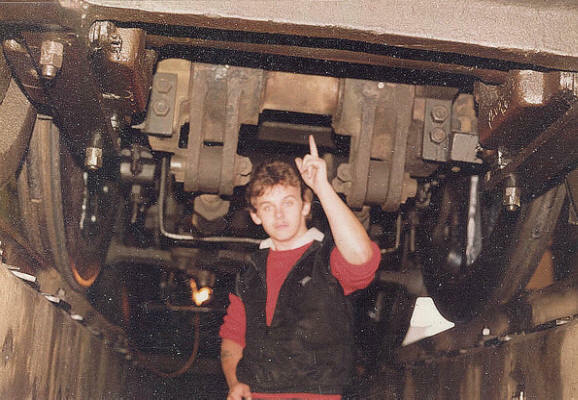 Above picture shows my Son, quite a few years ago, in the North Vancouver BC Rail yard, down in the pit, under the Royal Hudson. Below, my Son and I, (who should be working), enjoying a railroad enthusiast's dream, to sit at the controls of the Royal Hudson. "Go and see the British G.W.R. and L.M.S. Models in 1/32nd. scale"